High quality images of natural scenery, snapshots of daily life and low light situations are rendered with ease. Produce shallow depth of field looks with dreamy backgrounds and set your subjects apart using an f/2.8 aperture and 10mm (picture angle equivalent of a 27mm in 35mm format). Extremely compact and stylish, this is the lens you can take everywhere you go. Don't miss any moment of life! Frame it to perfection—whether it's the whole family or just a single person, trust the 1 NIKKOR 10mm lens. Versatility and precision are yours with a wide aperture that makes everything from landscapes to close-ups brilliant. With an f/2.8 aperture, low light moments are captured with color clarity and soft background looks. 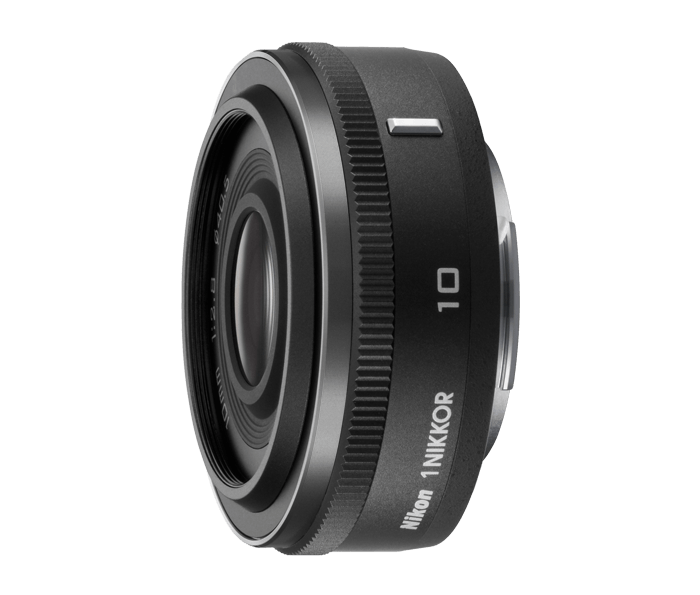 1 NIKKOR 10mm lens applies two aspherical lens elements to ensure only the highest quality images—even at the widest aperture settings—are obtained. Sweeping landscapes just as you remember them—retold with color clarity. A fast f/2.8 aperture is perfect for shallow depth of field or low light, while the 10mm wide angle surrenders natural perspective when shooting landscapes at any time of day or night.